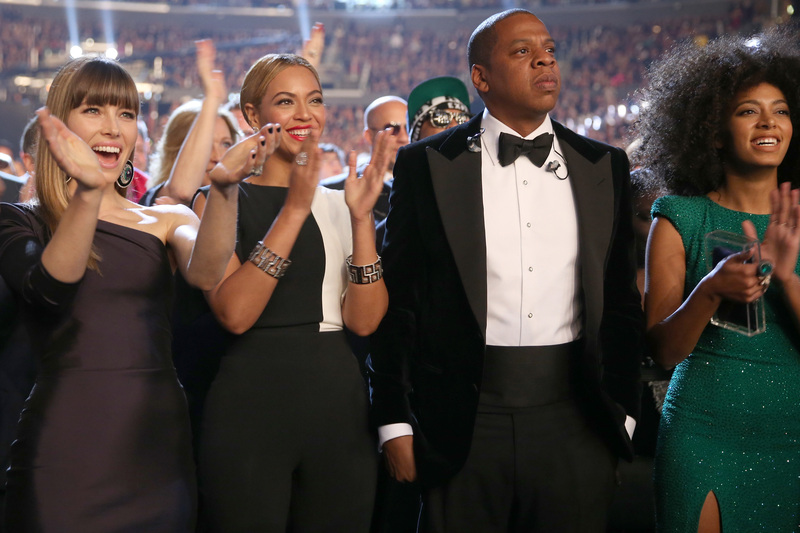 Beyonce, Jay Z & Solange's Statement Says They've "Moved Forward" but Can We Believe Them? As a result of the public release of the elevator security footage from Monday, May 5th, there has been a great deal of speculation about what triggered the unfortunate incident. But the most important thing is that our family has worked through it. Jay and Solange each assume their share of responsibility for what has occurred. They both acknowledge their role in this private matter that has played out in the public. They both have apologized to each other and we have moved forward as a united family. The spreading of the elevator footage was followed by Solange's alleged erasure of most of Beyonce's image from her Instagram account — only to be followed a day later by Beyonce posting multiple pictures with her sister on her Instagram, and her sister following suit. The entire situation's had the rumor mill a-blaze, but until this statement, none of the parties involved had referenced the incident specifically. So what can we make of it now that they're speaking up? Well, for one, you can tell this isn't a statement any of the parties wanted to make — they say it's a private matter, and that they're only addressing it because of the public's effusive response to the video. This family is one that's hardly a stranger to managing its public image, and this statement is perfectly crafted, if not a little too perfect. It's also likely to be one of the last unveilings we can expect from the Knowles-Carter camp. We still don't know what really caused the attack in that elevator, though. When it comes to "moving forward" from that, then, we have to remember something key: When you're a celebrity there's a difference between moving forward publicly — which this says that they are doing — and moving forward once the cameras are no longer pointed your way. Beyonce, Jay Z, and Solange all live a big chunk of their lives in the public eye, but they've also made it pretty clear that they value the parts of themselves they can keep to themselves. So when it comes to behind the scenes, we know no more about the relationship between these three than we did before — and that elevator scene made it pretty clear we didn't know much. As for their public life, though? You can bet they'll be presenting a united front for the cameras ... moving forward.